Project Fear moves in mysterious ways. Sometimes, it's dubbed a tactic of the Vote Stay campaign. Now it seems to have switched sides for a change. 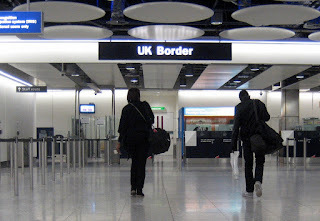 Vote Leave decided to publish a dossier today, detailing 50 EU nationals with a criminal history, who were able to enter the UK, thanks to the EU's free movement principle. One of the criminals listed is Arnis Zalkalns, the man suspected of having murdered Ealing schoolgirl Alice Gross, back in late 2014. Alice was last seen, walking by a West London canal, during the summer holidays. Her body was later found, hidden in the canal. Zalkalns vanished for a time, but was declared dead, after remains were eventually found in a park, and his death was treated as a suspected suicide. Vote Leave's controversial move has prompted some ridicule from its critics. Comedian David Schneider took to Twitter, to summarise the bafflement many felt with the dossier. This is just the latest tactic, as part of the Brexit campaign's version of Project Fear. It's official; the campaign is stuck in negative point-scoring mode now. A slew of polls since mid-March has indicated that the public are narrowly verging towards supporting continued EU membership, according to Ipsos Mori, ICM, ComRes and YouGov. This sort of outcome would be probably the most awkward one for the Prime Minister. The Pro-In/Brexit factions within the Conservative Party is already starting to lose patience with one another. There is a tangible sense that the Prime Minister's position is threatened, whatever the outcome of the referendum, whether it comes in the form of his obvious opponents, across from the dispatch box, or amongst his own party's rebellious backbenchers. If a Brexit just pips it to the top and takes place, Mr Cameron will likely face calls to resign, particularly from the opposition, for being the Prime Minister who took us out of the EU. In this scenario, the Conservative Party's Brexit wing, lapping up the victory, would demand a more representative face in charge. On the occasion of a narrow win for staying in, Brexit Conservatives will feel humiliated and lash out at the Prime Minister for not supporting their side. However wide or narrow the margin, a loss for the Brexiters would be a monumental blow; a decisive failure to win what's been a generation-long battle for supremacy.